Villalpando Law Firm, PLLC understands the complexity of the United States Immigration legal system and therefore focuses exclusively on this area of law. Our legal team includes two full-time attorneys and an Of Counsel (advisory attorney) with more than 20 years of combined practice in immigration law. 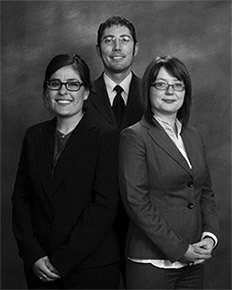 Our attorneys are Spanish-English and Russian-English bilingual. All of our team members are dedicated to the values of compassion, professionalism, and efficiency in handling all client matters. Our office is located in El Paso, Texas just minutes away from the immigration administrative offices and the Immigration Court. Our office is equipped with the latest software and equipment which allows us to handle not only local and regional matters, but also matters throughout the United States and throughout the world.